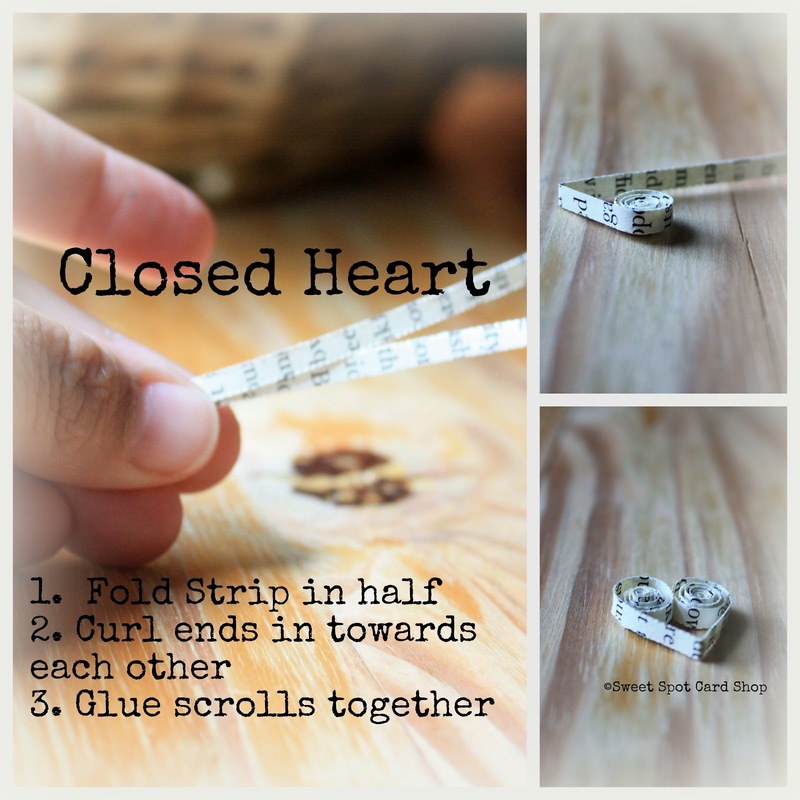 I wanted to finish up my "How-to: Quilling" series with the last few "official" shapes. These are all "scroll" shapes. Most are used as decorative flair and some can be used as letters, since they are actually letters. This is the most flourish-y part of quilling that can make any project pop with finesse and flair. Locate your paper strips, quilling tool and glue and let's get started. You can also achieve the same effect if you fold your strip unevenly and then just roll inwards from there. Your choice! For this next one, DO NOT fold your strip first. Just start rolling your ends together toward the center and THEN when you are done rolling you create your crease. For the next shape, no folding is necessary. 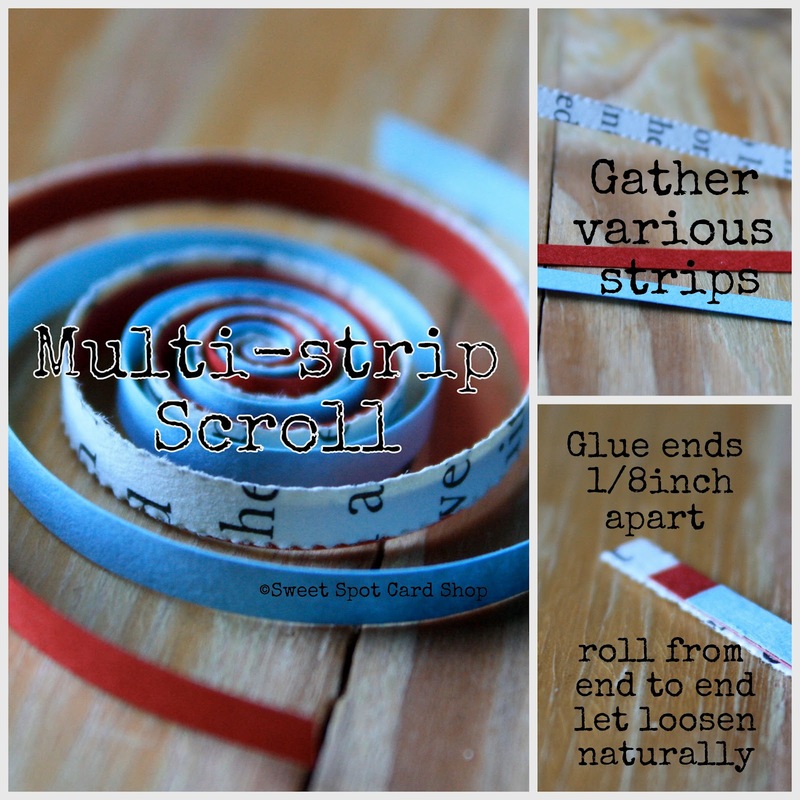 You can use as many strips as you like in as many colors as you like. This is not an "official" NAQG shape yet, but I think it's great. It's how I made most of the flowy hair on my Spring collage. Hope you like the post and instructions! And I hope it motivates you to create awesome masterpieces from tiny strips of paper. Glad u liked them! I hope you get great use our of them. Thanks for your comment. thanks for sharing,so sweet of you! the P one is new to me, dont know how I missed that one! They say you learn something new every day, right? ;) Glad you liked it. Hope you have a great weekend, Paula. Scrolls are so pretty! 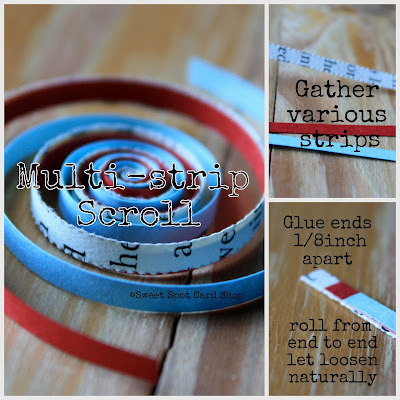 What type of tool do you use to cut your strips that gives that nice little rippled edge? I used a hand shredder to make my book paper strips. It creates the edges by itself. I like them too. Looks really soft and natural. I ordered mine from Amazon, incase you ever decide to get one. Costs about $12 and I love it! I haven't been here in forever, I missed the make over, I love the new look! You should plan another hop soon! Thanks for taking the time to do the tutorial.